Climate change in the ocean is causing both water temperature and sea level to rise. This means that many species of marine organisms are going to be experiencing drastic ecosystem shifts in the near future. A group of Canadian and American scientists have analyzed what these shifts could mean for large marine predators by combining tracking data from tagged predators with surface chlorophyll and temperature measurements taken by satellites. These data sets made it possible to model dynamic ocean habitats for large ocean predators for the first time. This entry was posted in Uncategorized and tagged Climate Change, Conservation on September 27, 2012 by coasst. Hey COASSTers! 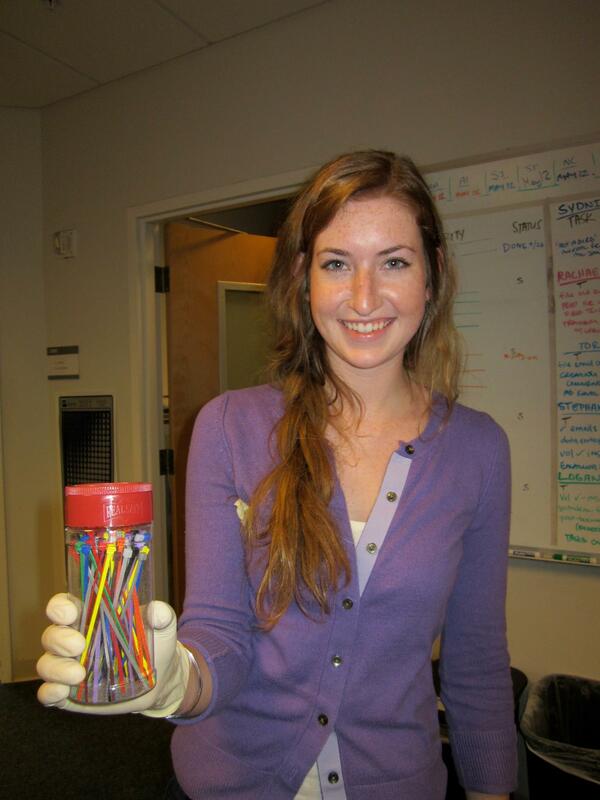 We had a great tip passed along this week from a fellow volunteer who has found a novel way of organizing her zip ties. Check it out and give it a try! This entry was posted in Uncategorized and tagged Survey, Volunteer on September 27, 2012 by coasst. Debris from the 2011 tsunami in Japan continue to impact American coastlines. Check out what some Hawaiian fisherman encountered just off the coast of Maui! This entry was posted in Uncategorized and tagged Hawaii, Japanese Tsunami, Marine Debris on September 25, 2012 by coasst. Japanese articles from the 2011 tsunami have begun to wash up on Hawaiian beaches. Free floating debris is often inhabited by opportunistic species, such as barnacles and crabs. These creatures are common in Hawaii but scientist now wonder whether this debris will act as a means of transport for invasive species as well. This entry was posted in Uncategorized and tagged Hawaii, Japanese Tsunami on September 25, 2012 by coasst.